#Americansabroad denied child tax credit for children who are NOT US citizens – Benefit or burden? The “FBAR Marriage” is a marriage between a U.S. person abroad and a non-U.S. person. The most important partner in the “FBAR Marriage” is the U.S. government. The most likely result of the “FBAR Marriage” is the “FBAR Divorce”. – the possible problems of U.S. citizenship transmission if a child is born to the U.S. person and the non-U.S. spouse (interesting and complex area discussed on other posts). More on this in a moment. 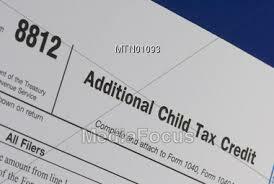 Note that one can take the child tax credit for children who ARE “U.S. resident aliens”. This fact makes it clear that this is deliberate discrimination and punishment for living outside the United States. But, if you are a U.S. citizen abroad with a child who is NEITHER a U.S. citizen NOR U.S. national you are denied the child tax credit. This is discrimination against U.S. citizens abroad! Now, you ask who might this affect? Isn’t the the child of a U.S. citizen abroad a U.S. citizen anyway? No, not necessarily. Consider the situation of Senator Cruz who was born in Calgary, Alberta. Mr. Cruz was clearly born a Canadian citizen. He claims his mother was a U.S. citizen. Assuming this to be so, more is required. The mother would have to meet certain additional requirements to transmit U.S. citizenship to Senator Cruz. 1. U.S. citizen marries non-U.S. citizen. Non-U.S. citizen has a child from a previous marriage who is not a U.S. citizen. 2. U.S. citizen born abroad who did not live in the U.S. long enough to transmit U.S. citizenship to child. 3. U.S. citizen and non-U.S. spouse adopt a U.S. citizen child. (Interestingly adoption agencies are actually warning people about the FBAR implications of adopting a child born in the U.S.). 1. U.S. citizen mother who did not live long enough in the U.S. to transmit U.S. citizenship to child. For most people, this topic is of more theoretical interest than practical interest. It is interesting because it demonstrates a clear attempt to discriminate against U.S. citizens abroad who attempt to form a family outside the United States. I did not register the birth of my child born outside the USA. (I am American, but my partner is not.) I also have absolutely no intention of doing so either. Why saddle the kid with the hell that comes with having an American passport? If the kid wants it later, it can be obtained. What is the citizenship status of a child born to a U.S. person outside the United States? There are differing perspectives on this topic. Since the child is born outside the United States, I believe there should be a presumption of non-U.S. citizenship. Of course as this commenter suggests, the right of citizenship may be exercised later. There’s no need at all to register a birth overseas. The parent, or later on the adult child, can assert a claim to US citizenship at some future point, or not as the case may be. By NOT attempting to take the child tax credit for children born outside the United States, you are clearly NOT taking the position that the child is a U.S. citizen! This may be the greatest gift you can give to your child! The Child Tax Credit is an important tax credit that may be worth as much as $1,000 per qualifying child depending upon your income. Here are 10 important facts from the IRS about this credit and how it may benefit your family. Amount – With the Child Tax Credit, you may be able to reduce your federal income tax by up to $1,000 for each qualifying child under the age of 17. Qualification – A qualifying child for this credit is someone who meets the qualifying criteria of six tests: age, relationship, support, dependent, citizenship, and residence. Age Test – To qualify, a child must have been under age 17 – age 16 or younger – at the end of 2010. Relationship Test – To claim a child for purposes of the Child Tax Credit, they must either be your son, daughter, stepchild, foster child, brother, sister, stepbrother, stepsister or a descendant of any of these individuals, which includes your grandchild, niece or nephew. An adopted child is always treated as your own child. An adopted child includes a child lawfully placed with you for legal adoption. Support Test – In order to claim a child for this credit, the child must not have provided more than half of their own support. Dependent Test – You must claim the child as a dependent on your federal tax return. Citizenship Test – To meet the citizenship test, the child must be a U.S. citizen, U.S. national, or U.S. resident alien. Residence Test – The child must have lived with you for more than half of 2010. There are some exceptions to the residence test, which can be found in IRS Publication 972, Child Tax Credit. Limitations – The credit is limited if your modified adjusted gross income is above a certain amount. The amount at which this phase-out begins varies depending on your filing status. For married taxpayers filing a joint return, the phase-out begins at $110,000. For married taxpayers filing a separate return, it begins at $55,000. For all other taxpayers, the phase-out begins at $75,000. In addition, the Child Tax Credit is generally limited by the amount of the income tax you owe as well as any alternative minimum tax you owe. Additional Child Tax Credit – If the amount of your Child Tax Credit is greater than the amount of income tax you owe, you may be able to claim the Additional Child Tax Credit. This entry was posted in Are you a U.S. citizen?, Citizenship-based taxation, FBAR and reporting, FBAR Divorce, FBAR Marriage, U.S. tax issues and tagged discrimination against U.S. citizens abroad, tax credit for non-U.S. citizens, U.S. child tax credit on August 31, 2013 by renounceuscitizenship. I know one way to ‘fix’ this problem. Canada also offers a child tax benefit. My Canadian wife claims it because of her son, whom is also Canadian. Why bother applying for a US tax credit that I know I’m not going to get? Also, because she claims the tax credit and not I, plus the fact that our bank accounts are separate, I don’t need to report this tax credit to the IRS, as it’s her money. Sure, it should be our money, but since the US government’s ridiculous, and Byzantine policies are the problem in this situation, then this is the way that the problem needs to be dealt with for the time being. Ultimately, the only real solution to this FBAR Marriage is the FBAR Divorce, but I intend to divorce myself from the US government. I have 238 days left to go before I can apply for Canadian citizenship, and begin the process.